PokerStars resumed its normal Sunday tournament schedule after their 2018 World Championship of Online Poker series came to its conclusion last week, with PocketFives ranked-#1 ‘Lena900‘ taking down the $2,100 Sunday High Roller. This week saw ‘Lena900‘ face a new challenger for the rankings top spot after Russia’s ‘hellohellohello‘ jumped into #2 place and pushed the current number one’s fellow Swede ‘C.Darwin2‘ into #3 for the first time this year. But ‘Lena900’ was clearly not in the mood to let his place at the top be taken easily and was able to go the distance in the Sunday High Roller and bank $50,851 in the process. ‘caecilius‘ claimed the bronze medal for $29,424, with America’s Alex ‘bigfox86’ Foxen banking $38,681 as runner-up. 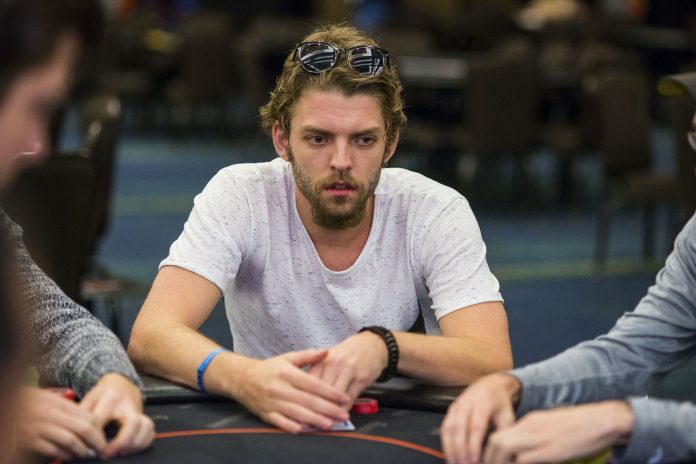 Former PocketFives #1 Michael ‘munchenHB’ Telker came through a 6,103 player field to win the PokerStars Sunday Million for $164,789 after a heads-up battle with Brazil’s Joao ‘djjazz222’ Perez. When the final table of nine was set there were five PocketFivers in action with Greece’s Dimitrios ‘JIM_BALLAS’ Ballas taking seventh place for $19,682, Poland’s ‘jaworlegia‘ banking $28,047 in sixth place and well-known American player Chance ‘ChanceCU’ Kornuth exiting in fifth place for a $39,966 score. The final three was confirmed after ‘pokerturo‘ was sent to the rail in fourth place for $56,950, with ‘david owie‘ the player to miss out on the heads-up play after they could only manage a bronze medal worth $81,153. The Brazilian Perez had already locked up by far his biggest online score to date but was looking to add the title to his name also. But Telker, who has over $9.7m in online earnings, put his vast experience to use and was able to secure his first six-figure score on the PokerStars client since he won the Super Tuesday in December of 2014, with Perez taking away $115,641 in second place. ‘mandza17‘ banked over $64,000 for victory in the $530 Bounty Builder High Roller with Austria’s current #1-ranked player ‘WushuTM‘ taking the silver medal. ‘LintyontheLash‘ took the bronze medal alongside $21,471 + $1,703 in bounties before the final battle got underway. ‘WushuTM’, who took down the SCOOP Super Tuesday special for $288,603 back in 2015, ultimately fell at the final hurdle but still banked an impressive $29,587 + $19,536 in bounties, before ‘mandza17’ was crowned the winner. This week’s PokerStars Sunday Warm-Up title went to ‘Poeira4‘ after getting the better of ‘slarki1‘ heads-up. Bulgaria’s ‘AchoBogdanov‘ took third place from the 1,238 player field for a payday worth $20,231 and set the way for the final two players to face-off with an extra $11,000 on the line. ‘slarki1’ was the final player to fall and banked $28,138, with ‘Poeira4’ claiming the $39,135 first-place prize.